Gerry Starnes, M.Ed., is an Austin, Texas area teacher, facilitator, and practitioner. He is the author of the award-winning book, Spirit Paths: The Quest for Authenticity, and several other spirit-oriented publications. A light-hearted and engaging speaker, Gerry has offered workshops and presentations for more than 15 years. 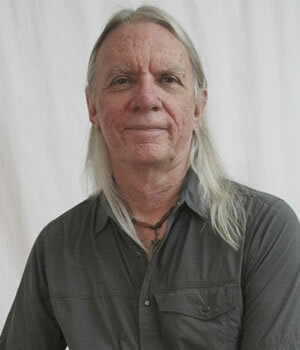 In 2003, he established the first shamanic journey circle in Austin, which still continues weekly. He created the six-month immersive Spirit Paths program, the basis for the book. He also has created more than a dozen videos on shamanic topics, hosted in the Shamanic Passages YouTube channel. Masters of Education (M.Ed) in Psychology, Special Education, and Education. If fear did not stop you, what would you say? If fear did not stop you, what would you do? If fear did not stop you, who would you be? Wolves in the Woods™ addresses the mental, emotional, and physical aspects of fear that make it debilitating. Our society today has become very fear-oriented. We are being told daily through multiple communication channels that we should be afraid. As a result, we are all dealing with fears, both real and imagined, as well as those that we can’t tell which they are. By participating in presentations and personal exercises, you will gain a clearer understanding of the fears in your life and how they affect you. You will finish this course with a sense of relief from their grip, and proven strategies for living through and getting past fear when it shows itself again. You feel stuck in making decisions. You sometimes feel you are powerless. You feel someone has control over you. You are facing a significant life change or know someone who is. Wolves in the Woods is a great course for couples and those in significant relationships, whether both partners participate or not. Read Gerry's blog article on the topic. It was the inspiration for this course.